Matthias Mueller on March 13. Volkswagen’s battery plans compare to Tesla’s $17.5 billion worth of purchase obligations as of last year, including $15.4 billion in deals through 2022, primarily related to buying lithium-ion cells from Panasonic, according to a recent filing. Volkswagen called its battery tender one of the biggest purchasing initiatives in the auto industry. 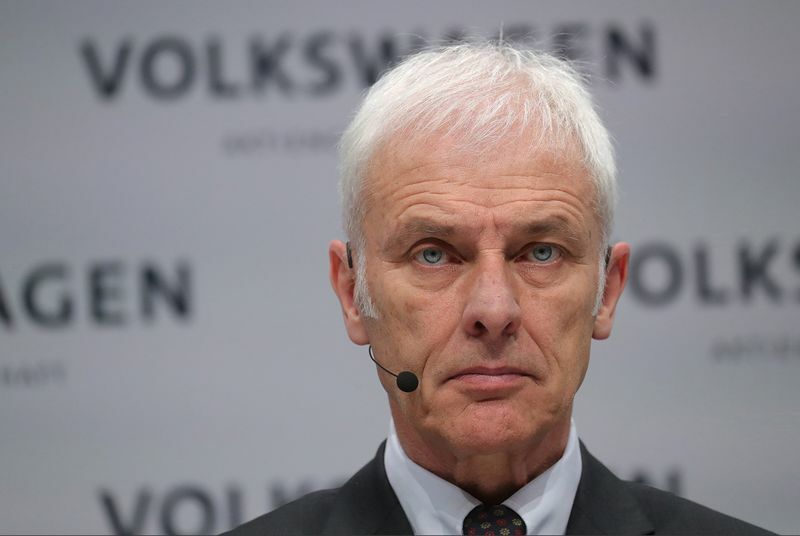 Pressure has intensified on Volkswagen to overhaul its lineup. Its diesel-cheating scandal, which erupted in September 2015, sparked a backlash over the technology, including potential urban driving bans. Diesel is key to efforts to meet tighter environmental targets because of its fuel efficiency, even though it emits smog-causing nitrogen oxides. The German automaker reaffirmed its backing for the technology, with Mueller calling it “part of the solution,” even as Toyota Motor Corp. pulls diesel cars from its lineup in Europe, the main market for the vehicles. Volkswagen shares slipped 1.7 percent to 155.82 euros as of 4:05 p.m. in Frankfurt, reversing a gain earlier in the day and extending the stock’s drop this year to 6.4 percent. Even with the battery-purchase deals, Volkswagen’s power-supply issues are still far from over. The company, which has struggled to secure sources of cobalt, a critical component for modern batteries, said that it’s working on ways to reduce the amount of the element needed for its electric cars, suggesting ongoing concerns even after setting up supplies for its initial electric-car rollout. The automaker has enough cobalt for those vehicles, but access to the metal remains a long-term issue industrywide, Chief Financial Officer Frank Witter told Bloomberg TV. Chinese producer CATL, which Mueller confirmed Tuesday as one of Volkswagen’s future battery providers, is considering a site in Europe for its first overseas plant, Chairman Zeng Yuqun said a week ago.